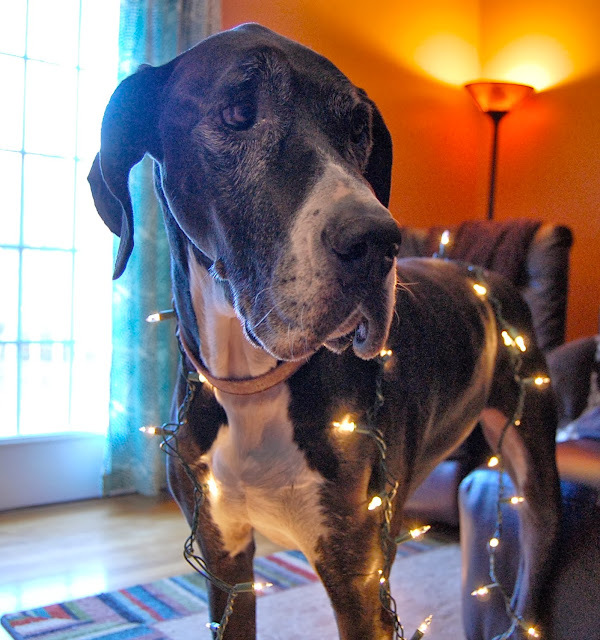 13 comments on "Tis The Season To Be Jolly..."
Love the lights on your dog, so cute! I can't believe your dogs let you put those lights on them!! Haha that's great. 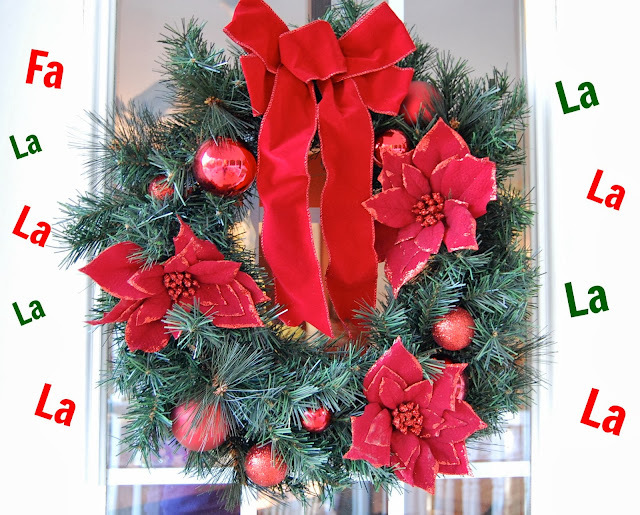 I also love that wreath--too cute! So festive and pretty!! I love your bar set up! Simple and cute! Love it all!!! Especially the pictures of the pups all lit up :) We usually put our decor out in the middle of November! This year we are waiting (totally killing me!!!) because we are going to go cut our tree this Friday! We've always had artificial trees (we have like 3-4 trees in our house! ), but this year we are going to try a real tree in the living room! I am so excited I can barely stand it!! Ah, it looks so festive! And I agree, you definitely need some Buble blasting in the background! maeg!! love love the decor!! your pup is THE cutest! now...i wanna go decorate! I have my boxes out I just need to start decorating. Jordan is bringing my tree up this week and I am decorating Thursday! Love your ornaments, I use the same color ones on our tree also. Love the pups decorated with lights, Paris would run away from me if I tried that haha! 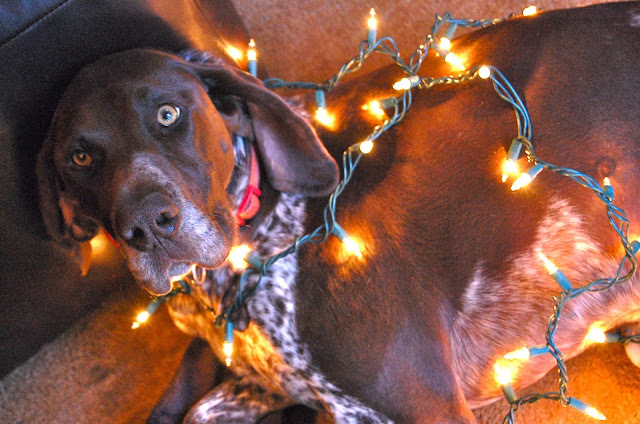 Your house looks so great and I love the picture of your dog wrapped up in lights! I had to have Buble playing while we put up our tree, too haha! Hard to believe there is only 28 days until Christmas! Your decorations look beautiful Maeg!